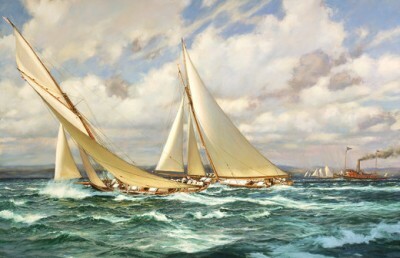 Puritan passing Genesta in the second race for the America's Cup, September 16th 1885. Oil on canvas. 2003. 26' x 40'. 'Puritan' was designed by Edward Burgess and built for a Boston syndicate.